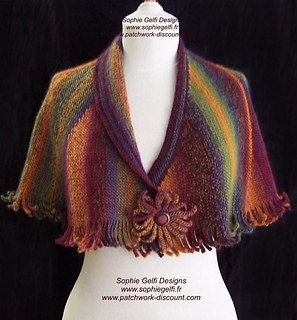 Very warm and soft, this capelet / pelerine is more easy to make than it seems. You only need to know how to crochet chain and slip stitches. Short rows are used to give it its shape. No seams needed. 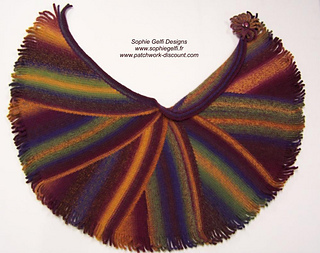 Size 40 to 46, if you want your capelet to be larger, you’ll have to do 8 sections instead of 7 and add some more foundation chains. Don’t hesitate to ask if you have any question and have a look at my other pattern in my ravelry store. 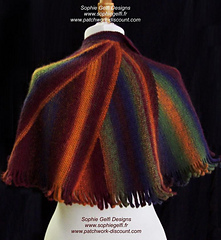 Pattern in includes diagram (chart) and written instructions. Modèle disponible en anglais et en français. Explications sous forme de diagramme et photos.